Lovely hostel, with helpful, friendly staff. When would you like to stay at YHA Brecon Beacons? If you're looking for Brecon Beacons accommodation for a cheap family break, this cosy 19th Century farmhouse, with access to some of the best walking routes in Wales, is perfect for you. Step out through the front door and be greeted by breathtaking views towards Pen y Fan - the highest mountain peak in South Wales - ideal for an adventurous walking or cycling holiday. And if the weather isn’t favourable, console yourself with the hostel's roaring fire, welcoming lounge of comfy arm chairs and tasty home-cooked meals. YHA Brecon Beacons, formerly YHA Llwyn-y-Celyn, has 41 beds in a selection of private and dorm rooms, some of which are en-suite. The hostel features a comfortable lounge with plenty of sofas and arm chairs, great self-catering facilities and a handy drying room for muddy clothes. Want to get cooking in our guest kitchen? You'll find three fridges, one freezer, a microwave, a cooker, a kettle and toaster, plus lots of pots, pans, cutlery and crockery. 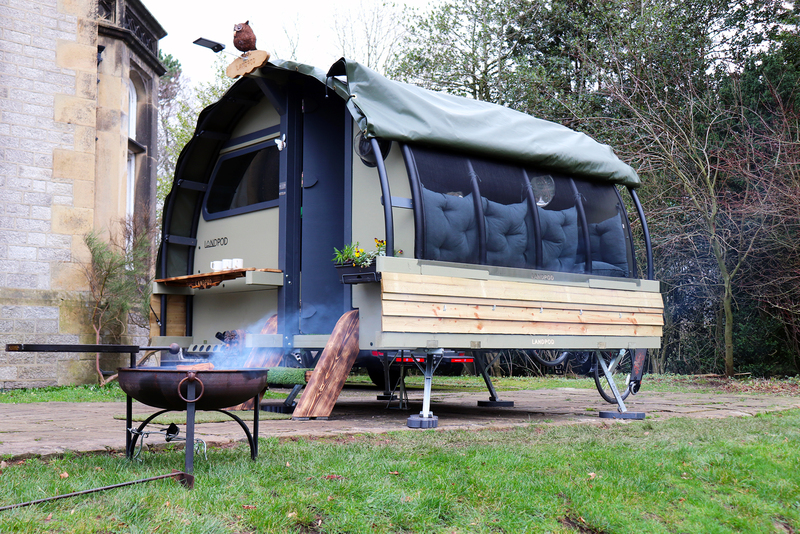 Choose these camping pods for a warm, cosy glamping experience. 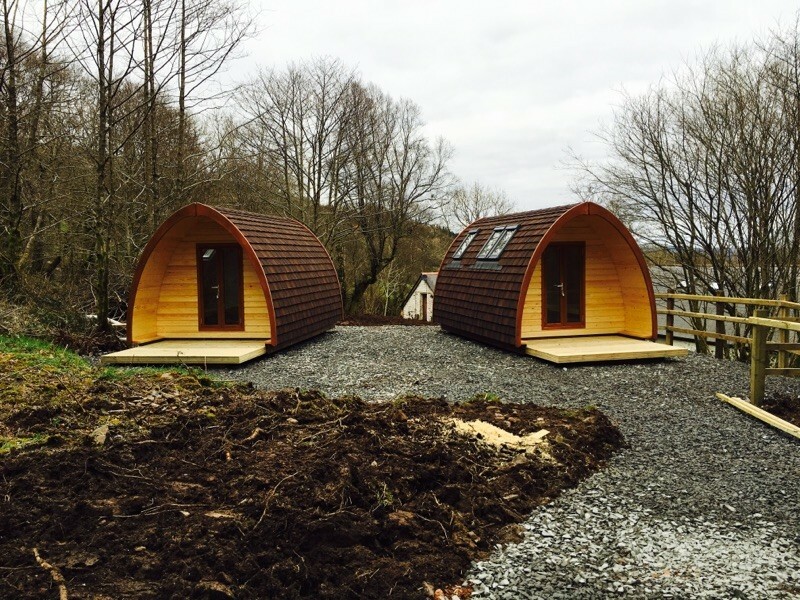 These camping pods make for a great family break and they have space for up to four people to sleep in - including one double futon and twin single beds. Mattresses, futons and all bedding are included for your comfort and the pods have heating and lighting. Each pod has its own individual decking area. These pods also have velux windows in the roof so you can lie back and stargaze at night time. Dogs are welcome to stay in our camping pods so bring your furry friend along with you on your holiday. These brand new Landpods, upgraded for 2019, are fully waterproof and sleep up to four adults. They are slightly elevated off the ground for a comfortable night’s sleep under the stars – you can even open the roof for a better view! With LED lighting these cosy pods include all beds and bedding. There is a table, bench and BBQ firepit outside so you can make the most of the great outdoors and dine al fresco. The new larger Landpod sleeps up to 4 people, on two small double mattresses (one above the other) and a single futon mattress, which doubles up as the seating area. They’re even tall enough to stand up in! Try wild camping at YHA Brecon Beacons in our woodland campsite. The area is well suited for smaller tents rather than bigger sized units. Camping is in the woodland next to the hostel on mixed, fairly rough ground - perfect for those who would like a wild camping experience complete with camp fires but with the added bonus of access to hot showers, running water, hot meals and cold beer. Learn more about the Brecon Beacons, admire the stunning views, explore one of the trails for children or set off on a walk. Because of its location it's thought that the Norman Priory might have been built on the site of an older, possibly Celtic, church. The collection has artefacts from around the world that reflect the history and character of a 300 year old regiment. With facilities to educate and entertain, Big Pit is an exciting and informative day out. Don't miss the underground tour. Nowhere in the world does a landscape shaped by iron making remain on such a complete scale as at the Blaenavon World Heritage site - there's plenty to explore here. Craig y Nos is over 40 acres of parkland with riverside walks through woodland and meadows. The park is also used as a base to study the flora and fauna of the area. The feeding station attracts over 50 red kites and buzzards every day. You can watch from the purpose built hide for the best view. Try indoor rock climbing and bouldering, rope bridges, high level cargo nets, abseiling or flying down the indoor zip line! The hostel is in a fantastic area for either a stroll or more challenging hike. 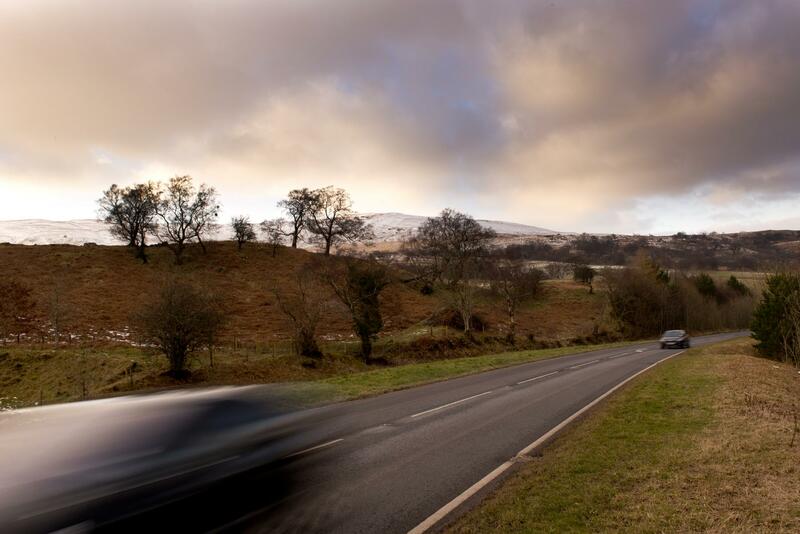 The Brecon Beacons National Park has lots of green roads, ideal for the relaxed mountain biker. You can hire bikes in the town or have them delivered to the hostel if you book in advance. The hostel sits just across the valley from the Taff trail that runs from Cardiff to Brecon. It's not an overly busy trail so you'll avoid the crowds and get the most out of your ride. Parking: There is free parking 100 yards from the hostel. Pets: Dogs can stay on our campsite and in our camping pods. There is a £5 charge per dog per night for our camping pod accommodation which is payable upon arrival. You can bring your dog for free if you are camping in your own tent. Pets are not permitted in the hostel accommodation at YHA Brecon Beacons however, assistance dogs are welcome throughout, please advise upon booking. YHA Brecon Beacons combines educational packages with action and adventure activities, making it ideal for a school visit. 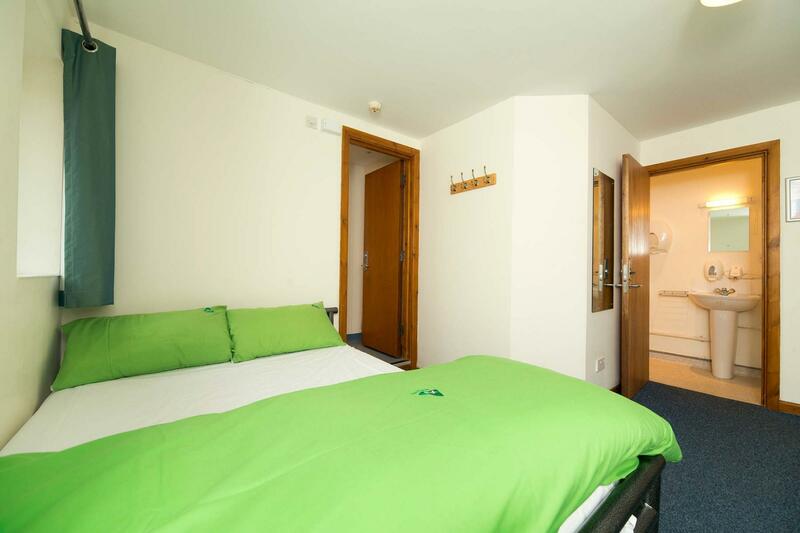 The hostel is able to accommodate up to 50 people, provides group catering and en-suite rooms for teachers. Manager recommends: From your comfortable Brecon Beacons accommodation, a footpath leads to the glaciated crag and Nature Reserve of Cerrig y Gleisiad. A sharp climb rewards you with a view of glacial moraines and erratic rocks left by the ice. Enjoy the peace and quiet, without the crowds of Pen Y Fan, and enjoy the company of of raven, wheatear and buzzard. A great base for activity breaks in Wales.